I am heading in to work Sunday Brunch at the restaurant. 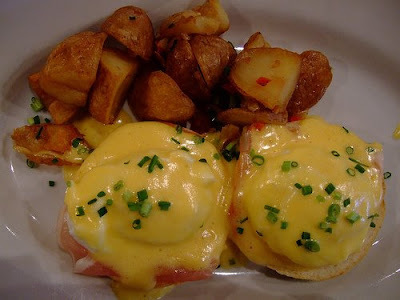 This shot is our eggs benedict. (Best version in all of Tokyo.) I usually take a 3o mins (or so) break sometime during the day and have a bit of brunch myself. This is always one of my favorites. What are you munching on today? What did you make recently? Any good new breakfast places in your area? Left to your own devices (mom's not looking) what would you eat for breakfast?